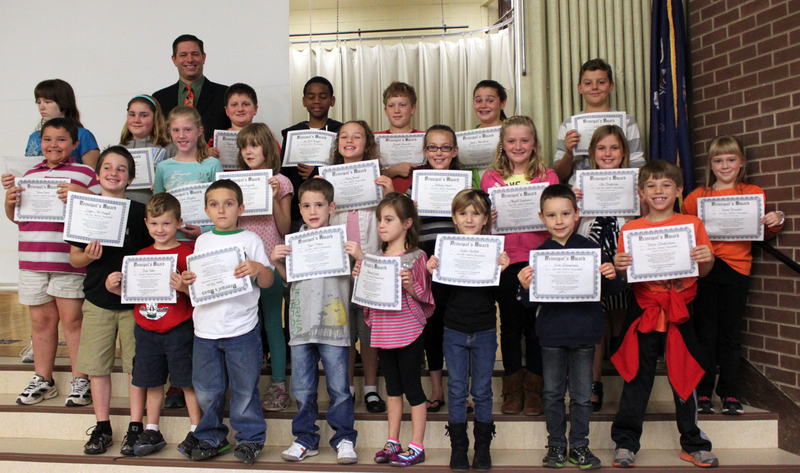 Responsibility simply means “to do what’s right” and students at Volney Elementary School in the Fulton City School District were selected by their classroom teachers as exemplifying the character trait and recognized at a special school-wide assembly. The following students were recognized as a monthly “On-a-Roll” Model: Scott Cook, Nathanial Casler-West, Gavynn Krick, Jillian Calaman, Ceara Johnson, Karlie Hooper, Makalib Wells, Lucas Maniccia, Sydney Osborn, Sheridan Norway, Dakota Johnson, Alex McEwen, Ethan Caruana, Serenity Laukarn, Sarah Gigliotti, Jacob Monty, Camran Andreotta, Thomas Smith, Darian Monaghan, Jadelynn Clark, Jada Ballard, Jadelyn James, and Sydni Perry. Also pictured is Volney Elementary School Prinicipal Jeff Hendrickson. The October character trait, also one of the district’s behavioral expectations, is a special recognition, according to Volney Principal Jeff Hendrickson. Also recognized were students “On-a-Roll” who have shown marked improvement in the month, also nominated by their classroom teachers. 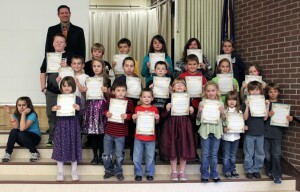 The students received a special certificate during the assembly. The Fulton City School District’s behavioral expectations include: Be Respectful, Be Responsible, Be Safe and Be A Problem Solver. 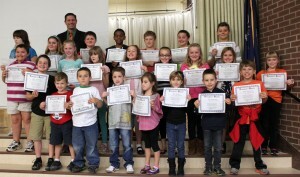 The following students were recognized during the character assembly: James DeCare, Kyle Stuber, Deven Searor, Rylee Bartlett, Tyler Ditton, MaKenna Grant, Alex Knapp, Evan Zimmerman, Trevor Hendrickson, Mary Jerred, Logan McDougall, Mallorie Smart, Kalista Reynolds, Abigail Pawlewicz, Ella Henderson, Emma Brewster, Trevor Hartle-Knapp, Laura Hayden, Hayden Williamson, My’Kell Kaigler, Joseph Benavidez, Caleb Clarke, Juliet Manchester, and Erin Babb. Also pictured is Volney Elementary School Prinicipal Jeff Hendrickson.